This is how you make a movie version of a fairytale! I was pleasantly surprised when I first heard that a live version of the beloved fairytale was in the works. It wasn’t a bad idea, but making Cinderella alive not with use of drawings or merely animation would be a hard thing to do if just to please any fairytale lover. But thanks to the cast and crew of this film, a great movie version of Cinderella has been brought to the silver screen. Friends have been telling me that Cinderella is a good movie and so I have high expectations before watching it. And those expectations were definitely exceeded. 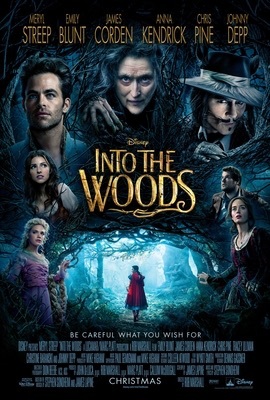 What I saw was not a mere re-imagination of the beloved fairytale but a great re-telling of the classic. 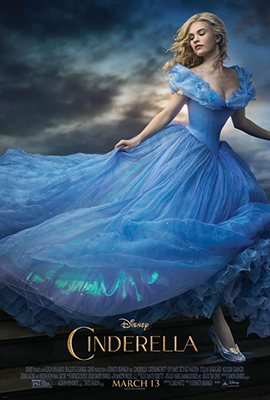 Needless to say, Cinderella is a must-watch especially for those who yearn that good and lovin’ feeling! Haha, just kidding. Kids and kids-at-heart will surely appreciate this movie. All eyes were drawn to Cinderella when she entered the palace for the first time. Why wouldn’t they be? The actress who plays her role is a great beauty. In fact, the time she, the grownup Cinderella, made her appearance onscreen, you can’t help but just look at her. The person who portrays the beloved character oozes with charm and grace and that is no other than Ella James. I think I’ve seen her in a couple of episodes of Downton Abbey but she ‘s a revelation in this movie. She made me feel like there could be no one who could have portrayed Cinderella better. Her chemistry with Richard Madden, her Prince Charming, is undeniable. Have you seen their dance during the ball in the palace? They seem to be making love! I don’t know if it’s just me but the grace in the way they moved and the intensity of the way they looked at each other made me feel like it. Can’t help but think that it’s the way you make a romantic pairing work! Cate Blanchett proved that there’s no role that she couldn’t portray well. As the evil stepmother, she stared with hatred at Cinderella and acted like the latter’s someone to really be hated. She succeeded in both instances. Famed British actor and director Kenneth Branagh helmed this wonderful film. Thankfully, he did because it was really good! The visuals were impressive, the editing was impeccable and the screenplay was very faithful to the spirit of the fairytale. The inspiring story of Cinderella was put into a life full of colors with this film. nt is a beautiful reimagining of the fairytale about the popular sleeping princess and the avenging fairy who cast upon her the sleeping curse. Angelina Jolie is Maleficent, the supposedly evil fairy who cursed Aurora, a princess in a faraway kingdom, to sleep on her 16th birthday until only a true love’s kiss would wake her. Maleficent wouldn’t be as good as it is without Jolie, who’s able to embody a character that’s been embittered into deep hatred yet still yearning for redemption. The seemingly evil character’s story was told very well, making the audiences understand more her actions and her reasons for doing them. Thankfully, the supporting cast is able to carry on and channel Jolie’s outstanding acting. Elle Fanning (Dakota Fanning’s younger sister) is good as the beautiful, graceful and curious Aurora. Sharlto Copley (better known as the protagonist in District 9) delivered well as Maleficent’s friend who turned into a power-lusting king and Aurora’s father. Sam Riley is funny and entertaning as Maleficent’s raven shapeshifter sidekick Diaval. Imelda Staunton (known as Professor Umbridge in Harry Potter is Knotgrass in this movie), Juno Temple (as Thistlewit) and Lesley Manville (a frequent collaborator of director Mike Leigh is Flittle here) are fun to watch as the three bickering fairy godmothers who are tasked to take care of Aurora until her 16th birthday. I had reservations before watching the movie. The critics didn’t like it, some people I know did and yet still a few really did not. But after removing all doubts and just letting myself drown into the movie, I was smitten by it. I am pretty sure it’s not only me; the children in the audience were smitten as well. They liked what they saw as I even heard them shouting, jeering or laughing at some moments in the film. Maleficent has that fairytale feel that Disney movies can only give. It seemed like the time stopped and only the moving pictures in front seemed to matter. The impressive visuals and beautiful cinematography made Maleficent really enchanting and captivating. And have you listened well to the poignant musical score? It is very much effective in carrying out the mood of the scenes that the audience is sure to have ridden well along. The slow pace at the start and the bits and pieces of sloppy writing prevented this movie from being an exceptional one. A reimagining of a classic story is such a hard task to do, and people who essentially know the story might not that be easily impressed. But still, just with Angelina’s brilliant performance and the appealing visuals, Maleficent is a good film to watch. 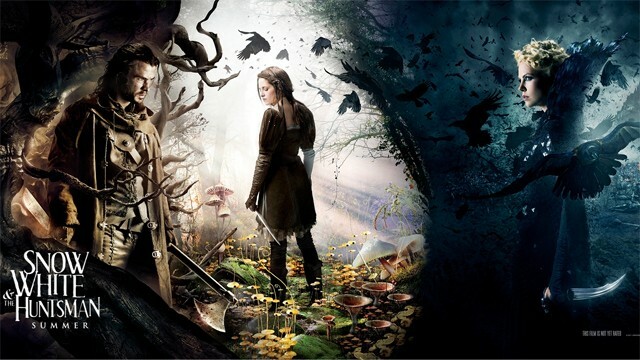 Snow White and the Huntsman is another movie that worked on the tale about the famous princess whose skin was as white as snow and lived to be the fairest of them all. When her mother died, little that she knew she was going to be tormented by her stepmother who was an evil queen. Apart from the other Snow White adaptations, SWATH made the famous character sort of a warrior princess who fought along the soldiers against the queen and her minions. The huntsman, who I have always perceived as a minor character in the fairy tale, was forced to take on a lead role in the movie because of a certain twist. The evil queen, on the other hand, was made more evil as her character focused more on being an avenging sorceress. I did not think I would like this film as much as I do now. It is mostly dark yet exquisitely beautiful. The scenes never get old as the movie forwards. Each setting (the Kingdom, the Dark Forest, the small village, the Sanctuary, and the Duke’s castle) has its own charm and beauty. What I thought as a so-so adaptation of a classic tale turned out to be a good one. I like Charlize Theron as the evil queen. She puts on a soul, that is, an old and weary one, to a character that can easily be passed on as one-dimensional. Kristen Stewart is more popularly known as Bella of the Twilight saga, but she’s able to channel the purity and goodness of the Snow White that we know. Chris Hemsworth is good as the huntsman, and he, along with the actors that portrayed the seven dwarves, provided the comic relieve this dark movie needs. Warring armies in movies like this always bring in battle scenes, and the action SWATH has shown may not be the best but they prove to be sufficient. 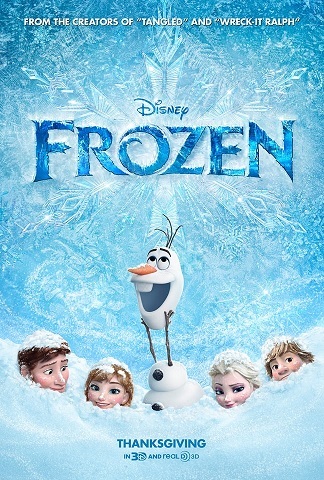 The sound used in the movie was good; it complemented the scenes just right. Even though the movie has its strong points in excellent visuals and good portrayals of its actors, the movie is not without its weak ones. The story may have been a good re-imagination of the classic Snow White story, but it has many plot holes that others may find disconcerting. Think of the following: How was Snow White able to lead an entire army with her on the frontlines? How did the evil queen’s brother know the death of the huntsman’s wife? The list of questions may be a lot longer than you think. Nevertheless, the movie did not fail to amuse and entertain. In fact, it satisfied my curiosity about how it is different from the seemingly endless fairy tale adaptations.